Hey there everyone! So I have decided to start something new. Each month I want to go out and find an artist I love to follow on Instagram and then feature them here on my site as the Artist of the month. When I first started blogging The Little Canvas did that for me and I thought that was so neat. That all being said I wanted to do that same thing for others because I really loved doing that with her! Hello everyone! My name is Allie and I am so excited to be the featured artist of the month here at 25 Sweetpeas! I've admired Sarah’s work for a long time and have even been inspired by her nail art for my own designs. When she asked me to do a guest post, I couldn't turn down her offer! 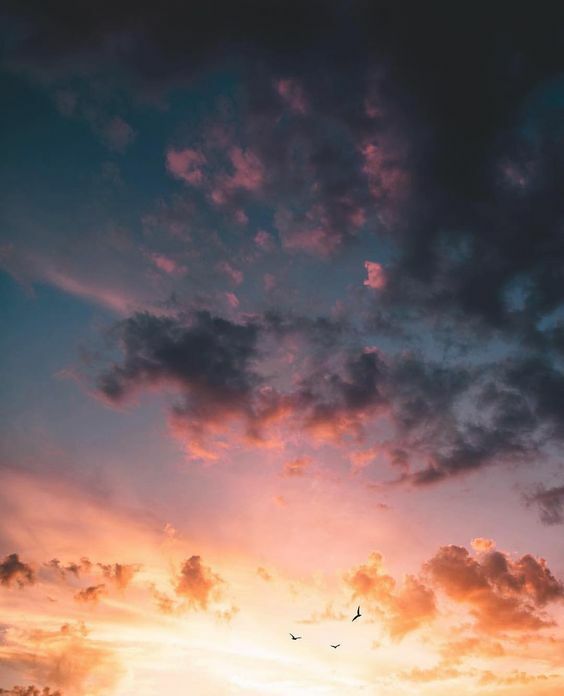 For today’s blog post, I decided to recreate this gorgeous sunset that I found while browsing through Pinterest. To create this design, I began by applying two coats of a polish called Dimple by L.A. Colors. With a makeup sponge, I then created a gradient on my nails with teal, purple, and pink polishes. Once I was finished with the gradient, it was time to create the clouds. Painting clouds is easier than you might think! I used a nail art brush and created clusters of dots that gradually turned into clouds. I finished the design by applying Butter London’s Matte Finish Topcoat. Here is a look at the inspiration. You can see on Instagram here. Thanks so much to Allie for sharing such gorgeous nails with us today! I hope you all enjoyed her mani and post as much as I did! If you aren't already you should totally go follow her on Instagram. :) Well that is it for today! I will see you all back here tomorrow! 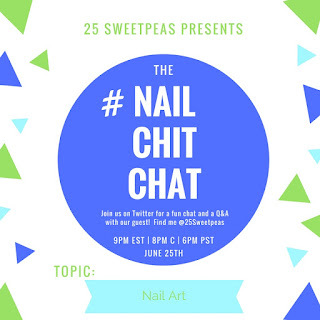 #NailChitChat is taking place tonight... details below. What an awesome idea! I always love getting to see new artists and their unique ideas. 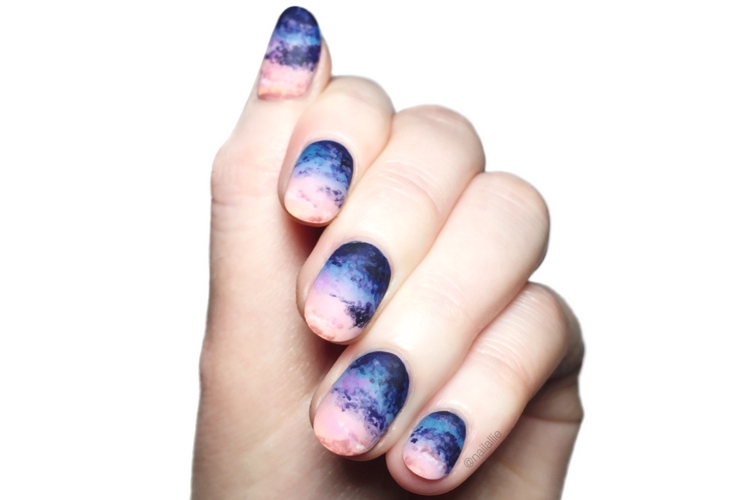 I love this mani- absolutely beautiful sunset! I'm looking forward to it! I love getting excited about ones I didn't know about before! :) This mani is gorgeous! All of hers are! Thank u for introducing me to another fabulous nail artist 💅🏻👩🏼‍🎨. It's such a nice idea to showcase once a month on your blog. You are most welcome! I know I always get so excited to find a new artist to follow! Very beautifully shaded. Loved It.